If you thought all gluten free flour was the same, think again. 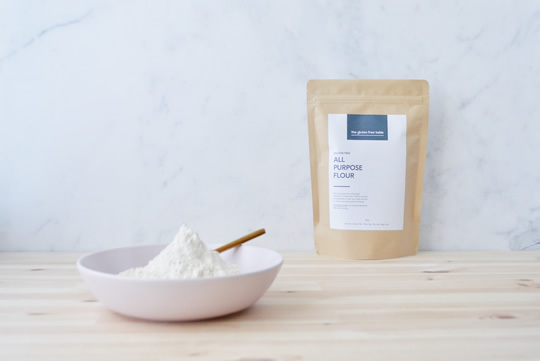 Made with 40% wholegrain, you’re sure to feel the difference when you try our all purpose flour mix. Our gluten free all purpose plain flour is a quality product produced from specially selected natural ingredients. Our blend has been developed with similar properties to wheat flour to ensure ease of use in most recipes. Made with 40% wholegrain, you’re sure to feel the difference. Versatile in everyday baking and batters.